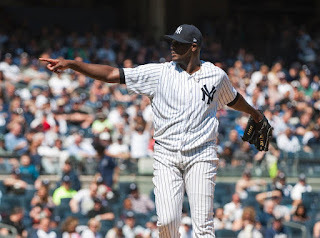 Is Michael Pineda finally the real deal? It was great to see Michael Pineda mow down the Tampa Bay Rays in the New York Yankees home opener on Monday. Pineda was everything you can ask for as a fan, mixing his pitches and keeping the Rays’ hitters off balance all afternoon. He took a perfect game into the 7th inning, finally giving up a hit to known Yankee killer Evan Longoria. When all was said and done though, Pineda finished giving up two hits over 7 2/3 innings, with 11 strikeouts and ZERO walks. It was a pitching line that the team envisioned when he first came over in the trade with the Mariners. However, there is one problem. The next time he takes the mound this dominant pitcher who owned the game on Monday, will most likely give up five runs on six hits and have at least four walks through 3 1/3. It is just the way things go with Pineda. He is the biggest tease of a pitcher, dazzling with his electric stuff only to lose control and implode right in front of our eyes. He is a perfect example of a player with a million-dollar arm, ten-cent head. It may sound a little harsh, but it’s a fact. A big part of being a dominant pitcher consistently is having the mental makeup to get it done. 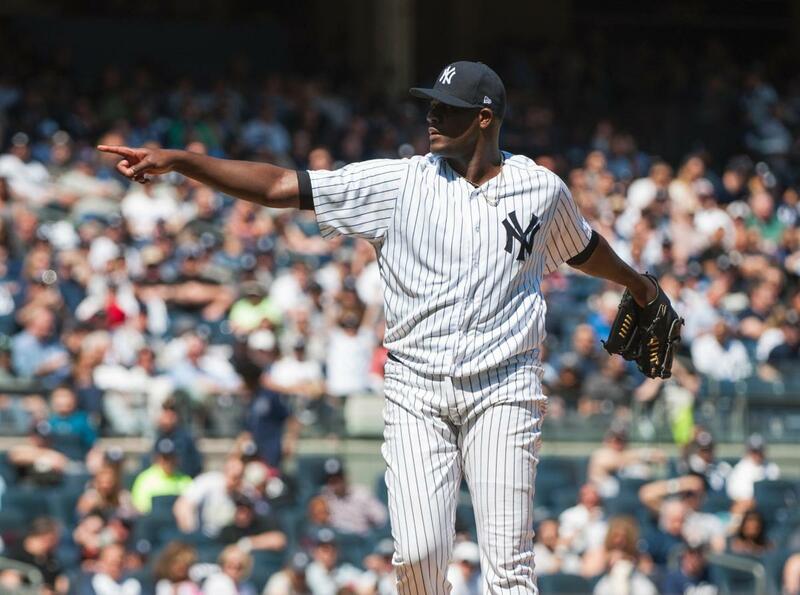 Pineda just doesn’t seem to have it, no matter how many times he shows the type of stuff he delivered on Monday afternoon in the Bronx. I would love to be wrong about Pineda. I would love for him to have a breakout year and show his talent for a full season, leading this team into an unexpected postseason berth. Having Pineda that dominant consistently through the season would be a potential game-changer for the Bombers. This staff is longing for someone to count on every fifth day. Masahiro Tanaka has already proven he really isn’t that guy. Tanaka has certainly not been the ace the Yankees were expecting to get when they acquired him. That’s why having the Pineda that showed up Monday for an entire season would change the whole dynamic of this team in 2017. Will it happen? Well, the odds are against it. No matter how incredible of an outing the big guy had in the home opener, he has too much of track record to warrant optimism. It’s just what we’ve seen from him throughout his career to this point, dominance followed by disaster. He is one gigantic tease.